Did you know that, “Besides having the most expensive electricity west of the Mississippi River in the continental U.S., California already has the least reliable electricity? 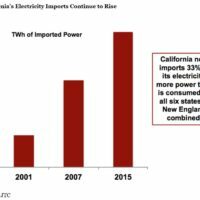 California easily leads the nation with nearly 470 power outages a year, compared to 160 for second place Texas, which is really amazing because Texas produces 125% MORE electricity!” (Jude Clemente, Contributor, Forbes, 4-3-16, California’s Growing Imported Electricity Problem). Clearly California is at a disadvantage again! Fifty percent of California’s in-state power was generated by natural gas in 2016 (CEC Almanac: Tracking Progress). But natural gas is used for much more than electricity generation. In fact, only 45% of our natural gas consumption generates electric power. The rest is consumed in the residential (21%), industrial (25%) and commercial (9%) sectors (CEC Almanac). Our modern residential lifestyles rely on natural gas for space and water heating, clothes drying, cooking and heating of pools and spas. The commercial and industrial sectors use natural gas for heating, cooling, refrigeration, cooking, lighting, combined heat and power systems, and raw material (feedstock) to produce chemicals, fertilizer and hydrogen (CEC Almanac). From 2012 to 2016, natural gas consumption in California has averaged around 2.3 trillion cubic feet per year fluctuating with climatic conditions (CEC Almanac). According to the U.S. Energy Information Administration (EIA), California used 9% of all natural gas consumed in the U.S. in 2015, second only to Texas at 14.3%. 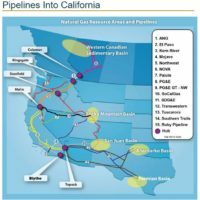 In 2016, California produced only 174 billion cubic feet of natural gas, a mere 7.5% of the 2.3 trillion cubic feet of consumption, according to the California Division of Oil and Gas and Geothermal Resources (DOGGR). The map below shows the network of 15 major pipelines required to fulfill the rest of our natural gas demand. Interstate pipelines transport imported natural gas from five resource areas including the Permian, Anadarko, San Juan, Rocky Mountain and Western Canadian oil and gas basins. The basins are primarily in Texas, Oklahoma, New Mexico, Wyoming and Canada. 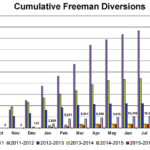 Locally, roughly 7 billion cubic feet of natural gas was produced in Ventura County in 2016 (DOGGR), representing about 4% of California production. Significantly, much of this locally-produced natural gas is piped directly into local gas utility pipelines, an efficient solution that reduces the need for imports through miles of interstate pipelines. While California’s consumption of natural gas has remained relatively steady, the percentage of in-state electric power generation from natural gas declined 8% over the last 15 years (CEC: Tracking Progress). 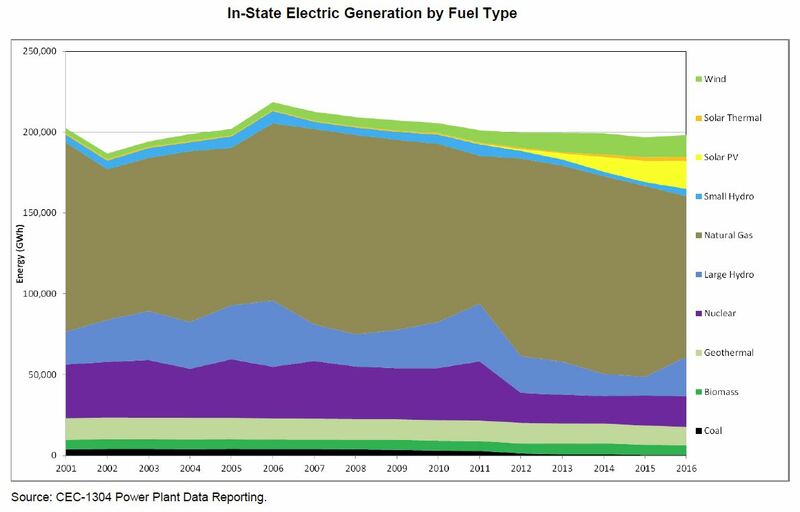 The chart below from the CEC shows the in-state electric generation by fuel type from 2001 to 2016. The decline in electric power generation from natural gas and nuclear has been replaced largely by renewable solar photo-voltaic (PV) and wind technologies. In 2016, renewable energy sources provided 27.9% of the in-state electric generation in California. Renewables include biomass, geothermal, small hydroelectric, solar and wind (CEC: Tracking Progress). 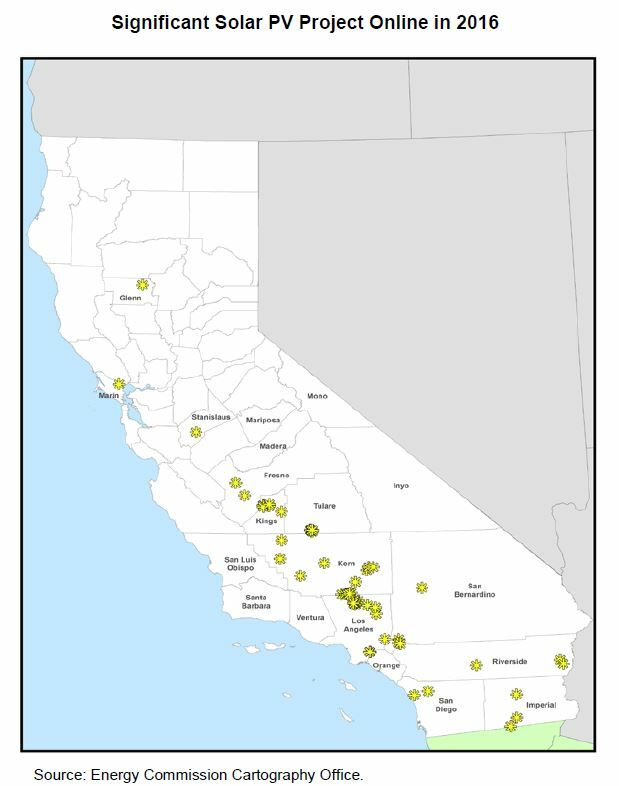 The map to the right from the CEC shows the distribution of significant solar PV projects online in California in 2016. 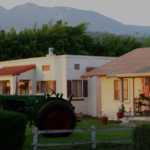 Notably, there are no significant solar PV projects in Ventura County. New solar PV installations in 2016 were most prevalent in Kern County with other large projects (over 100 Mega-watts) in Los Angeles, Fresno, Riverside, Kings, Imperial and Tulare Counties (CEC: Tracking Progress). 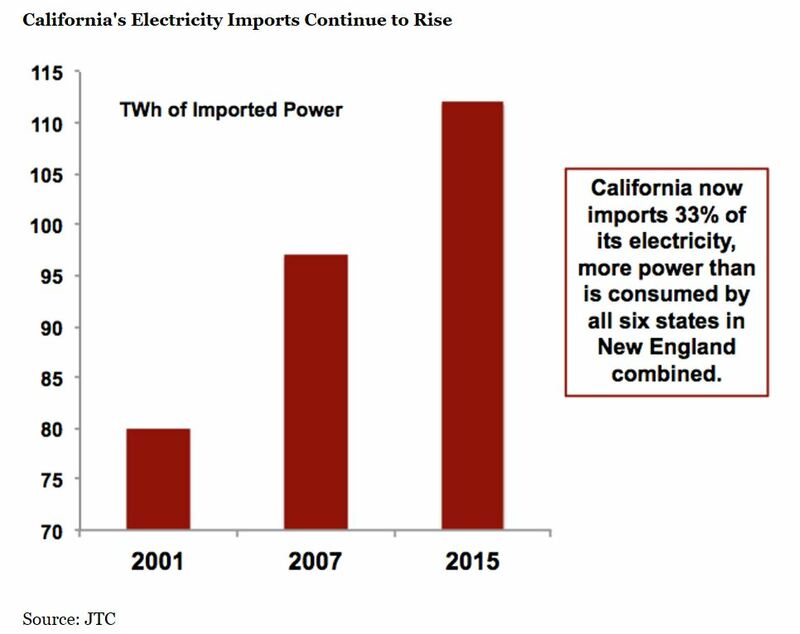 In addition to importing 90% of its natural gas for in-state electric generation, it was shocking to find that California imports additional electricity from other states to meet our demand. In fact, nearly one-third of our electricity is generated in northwest and southwest states and delivered to California through the grid (CEC: Tracking Progress). 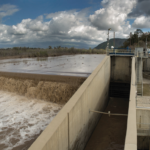 In 2016, total system electric generation required to meet California’s demand was approximately 291,000 Giga-watt hours (GWH). Of that, 92,300 GWH was generated by out-of-state power plants. Power purchased from out-of-state is generally cheaper and the origin of the power is harder to detect. An estimated 6% of imported electricity comes from coal-fired power plants. 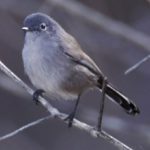 In 2015, CA Senate Bill 350 (Clean Energy & Pollution Reduction Act) was signed into law in California requiring the reduction of greenhouse gasses by 40% from 1990 levels by 2030. To reach this goal the bill set an ambitious renewable electricity procurement goal of 50% by 2030 (CEC SB350). In 2017, CA Senate Bill 100 (California Renewables Portfolio Standard Program) passed in the Senate. 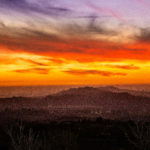 Had the bill passed the Assembly, it would have required 100% of total retail sales of electricity in California to come from eligible renewable energy resources by 2045. 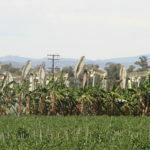 According to NBC News, “Even with big Democratic majorities in both houses of the state government, the 100 percent renewable energy bill could not overcome a wall of opposition from the state’s massive, public owned utilities and from a labor union representing electrical workers in Northern California.” (James Rainey, 9-16-17, California Lawmakers Fail to Approve 100 Percent Renewable Goal). The article refers to a joint letter written by the state’s biggest public utilities who did not think the bill did “enough to protect consumers, should the use of non-fossil fuels lead to higher electric rates.” The labor unions were concerned about jobs and the security of the electric grid. An example is the famed Ivanpah solar power facility in San Bernardino County across the California state line from Primm, Nevada. Originally required to meet the 5% fossil fuel standard to be qualified as renewable, Mr. Clemente describes it as a “hybrid gas and solar power plant”. According to the Orange County Register, “Natural gas is used to preheat water that goes into boilers mounted on three 459-foot-tall towers at Ivanpah. This allows heat from the sun – captured by 352,000 mirrors – to make steam more quickly. 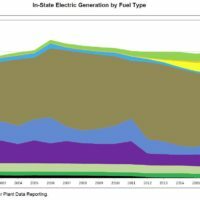 The steam turns the turbines that produce electricity.” But the plant “also has auxiliary gas boilers that kick in when the clouds block the sun.” (10-21-15, It’s not easy being green). With respect to costs, The Daily Signal reports that Ivanpah “is paid four to five times as much per megawatt-hour as natural gas power plants and two to three times as much as other solar power producers.”(David Kreutzer, 3-29-16, Taxpayers are footing the bill for solar project that doesn’t work). While California seems to be on its way to achieve the SB 350 goal of 50% renewable electric generation by 2030, it remains to be seen whether natural gas imports will be significantly reduced. An executive order by Governor Jerry Brown set a goal of 1.5 million electric cars by 2025, which will require more charging stations and more electric power generation. 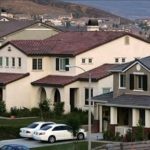 In addition, as the California population increases, so will the demand for natural gas for residential, commercial and industrial uses. 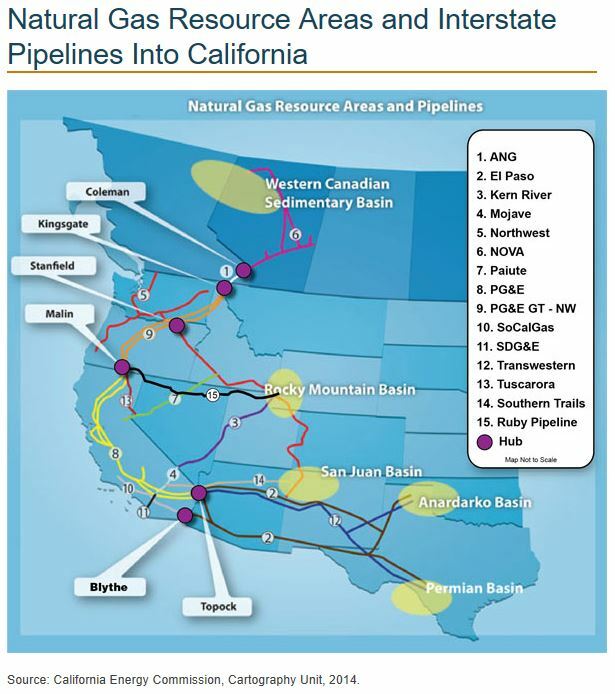 Local Ventura County natural gas production of 7 billion cubic feet per year will continue to be an offset to out-of-state imports for the foreseeable future. Since California imports over 90% of its natural gas, and generates only two-thirds of its power needs, it is important to support local oil and gas projects. And, considering the high cost of power to California residents, natural gas has the advantage of beating the cost of any other fuel source hands down.